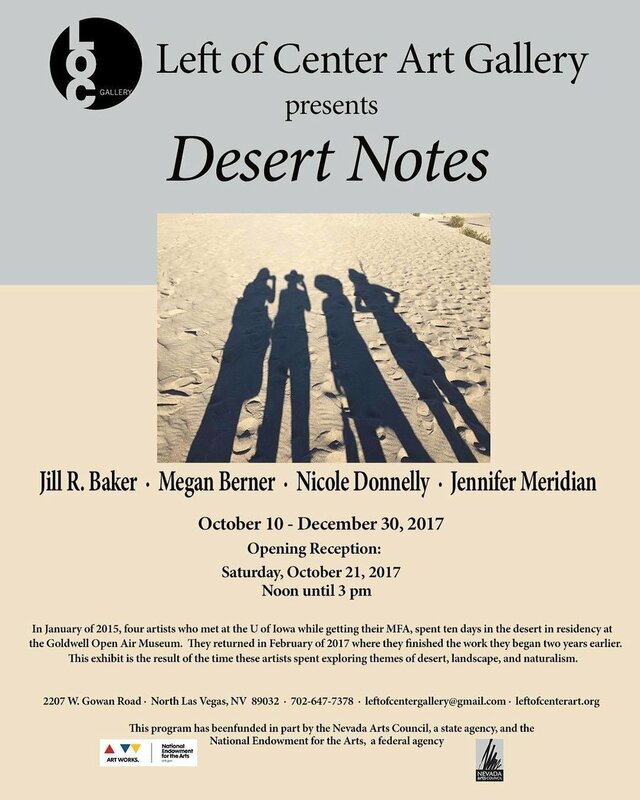 Desert Notes, a 4-woman group show, opened at the Sierra Arts Gallery on August 3, 2017. The exhibition is the culmination of two, week-long residencies in the Rhyolite desert and is currently on exhibit at Left of Center Gallery in Las Vegas. If you are in Southern Nevada, go check it out!